A is for the Ages of Women (and also for Archetype). Maid, Mother, Crone. The Triple Goddess. Phases of the Moon, Ages of Woman: a key aspect of paganism is the tripartite female deity. 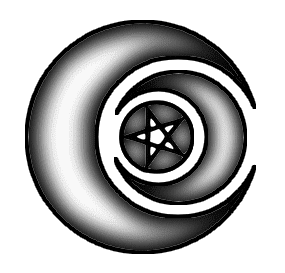 One of the things I love about paganism is the freedom to make connections. Different mythologies, different pantheons often reflect and relate to one another. Maiden goddesses, associated with the Spring, often with virginity and sometimes with hunting, can be found the world over. We may seek out Brigit, Diana or Blodeuwedd. The Mother archetype, related to the Summer, fertility and creation are equally widespread, from Isis to Demeter to Juno. Crone deities, linked with Winter, death and often war can also be found worldwide. Hecate, Persephone and Kali are examples. These links between different systems speak to me of the amazing similarities between different peoples. Separated in terms of language, culture and geography, people have still represented the feminine divine in the same way. In some ways, a feminist approach to this representation might be to bristle at the seeming biological reductionism: women are their reproductive cycles. And yet, that isn't what we see at all, if we look closely at the range of femininity represented by goddesses the world over. Yes, we see doting mothers like Isis and grieving mothers like Demeter, but at the same time women opting for singlehood - huntress deities like Artemis and Diana can be seen to be choosing a life that isn't constrained by their ability to bear children. Finally, A is also for Arlee Bird, creator of the A-Z challenge. It's thanks to him that I'll be blogging for A-Z this month. If you want to see more A-Z blogs, pop along to the A-Z focus blog. Enjoyed reading your post today for the A to Z challenge. I can think of women who fit in each of the categories you listed. Such an interesting perspective! sorry for the cut and paste, but you only have the generic google which doesn't work well for people with multiple blogs vs name and url. Just stopped by with "A to Z." I teach archetypes in my literature classes and am a huge fan of Joseph Campbell. It is amazing when you start to look for archetypes how they appear everywhere, regardless of race, time, culture, or place! love the post, I have a liking for Diana and Brigid. Keep up the good work.